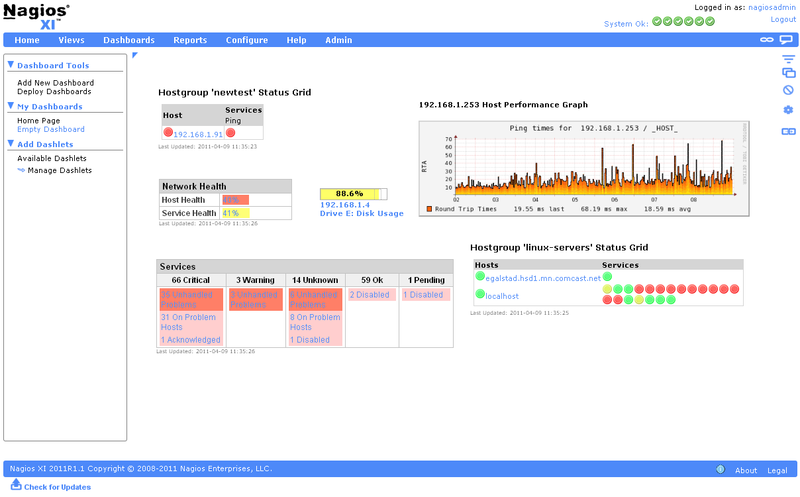 Nagios XI is a system and network monitoring application. It watches hosts and services that you specify, alerting you when things go bad and when they get better. Some of its many features include monitoring of network services (SMTP, POP3, HTTP, NNTP, ICMP, etc. ), monitoring of host resources (processor load, disk usage, etc. ), and contact notifications when service or host problems occur and get resolved (via email, pager, or user-defined method).